We are also halfway through our Tweet-a-thon! 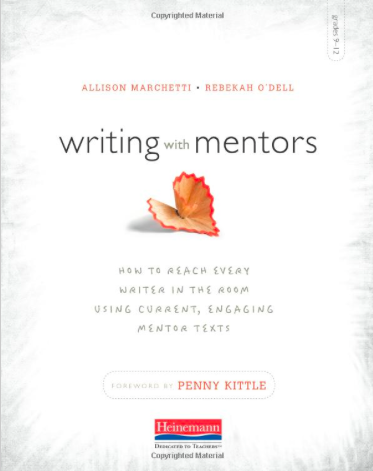 We have gathered some amazing, hot-off-the-presses mentor texts in our #writingwithmentors Tweet-a-thon over the last week. Here’s what we shared on days 6 and 7. It’s never too late to join in, though! Share a favorite mentor text — or even one that you haven’t tried before but think could have potential. Just asked yourself: could this teach students something about writing? Could it inspire student writing? If so, you are looking at a mentor text! Yeah! I can’t wait for my copy to arrive in the mail.